The bombing of another hospital in Aleppo by Assad’s air force, killing patients and medical workers, is the action of a lawless gangster organisation. Every Security Council resolution on Syria has been brazenly flouted, and every agreement broken. 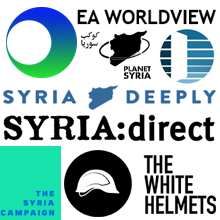 That Assad’s criminal air force is still at liberty to fly and bomb is a stain on the reputation of the UN Security Council, a stain on every one of the permanent member governments, a stain on NATO that allows this to continue a few kilometres across its southern border. These killings, after five years of Assad’s slaughter of civilians, are a stain on every political party in the UK, on every politician in Britain who has failed to stand up for the right of civilians for protection. 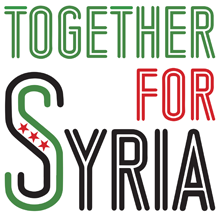 The UK needs to take action to enforce UN resolutions and ground Assad’s air force. The UK needs to answer the call of Syrian doctors for air drops to besieged civilians. To stand by is to be complicit in the crime. 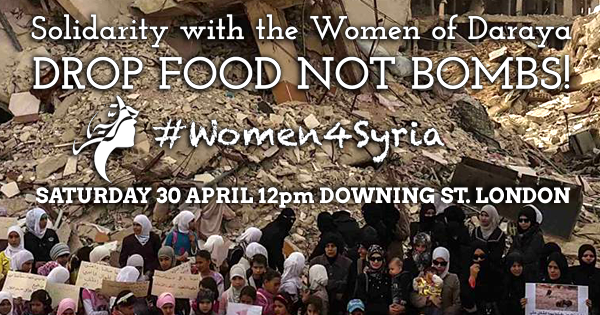 Join Women4Syria in solidarity with women in besieged Daraya. 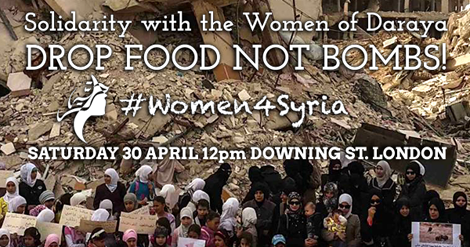 Saturday 30 April, 12 noon at 10 Downing Street, London.